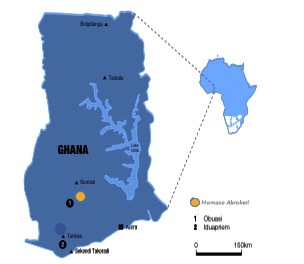 GoldStone’s primary focus is to recommence gold production at Akrokeri-Homase Project (AKHM) within 2 years. The project contains two historic gold mines: the high-grade 24g/t (recovered grade) Akrokeri Mine and the Homase Open Pit, a shallow 2.85g/t oxide deposit. GoldStone has acquired extensive exploration and development work due to the activities of the former operators and the intention is to reopen the Akrokeri mine and extend the Homase open pit with the goal of reaching production in as short a timeframe as practicable. The Board believe that once the AKHM Project is in production, this will provide a foundation on which to rapidly build a mid-tier mining company. From this, the Company will look at other commodities if there is a strategic fit geographically or financially.